Sierra Club Florida News: Join our STOP THE BURN campaign! 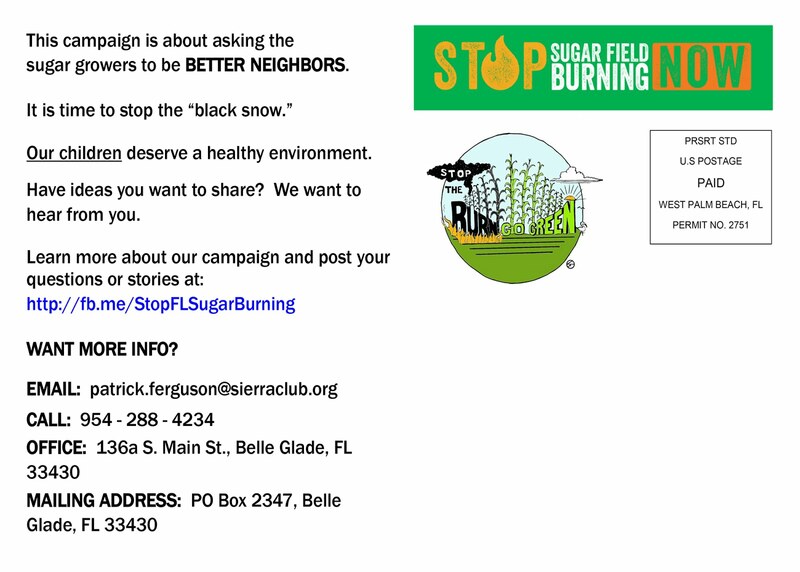 This campaign is about asking the sugar growers to be BETTER NEIGHBORS. ALL our children deserve a healthy environment. Have ideas you want to share? We want to hear from you. 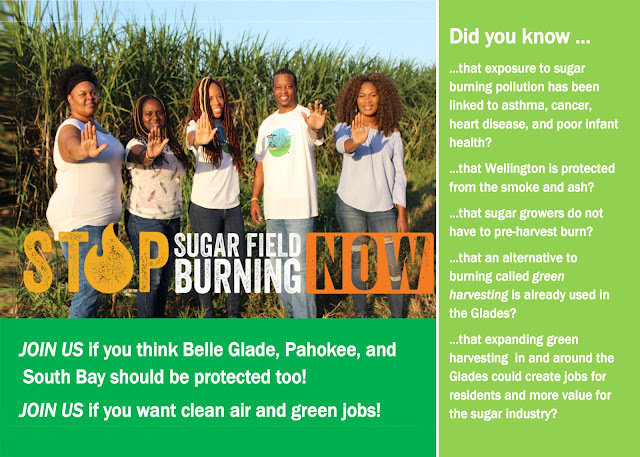 Click here to learn more about our campaign and post your questions or stories. Please call or email before you drop by to make sure we are in the office.